Running Y Ranch invites you to celebrate your love on 3,600 pristine acres in the Cascade Mountains, tucked away from crowds and distractions. 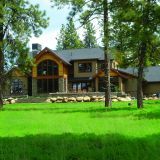 Located on the southwest shores of Klamath Lake, our ranch is a luxury destination for honeymoons in Oregon, whether your goal is to indulge in spa treatments every day of your stay or go white water rafting with your beloved. 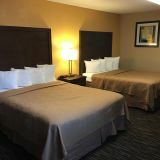 Stay in one of our Oregon honeymoon cabins or Lodge rooms and enjoy amenities like plush bedding, room service, access to our pool and hot tub, and more. Let our expert guides plan your adventures, or simply relax and take it all in.